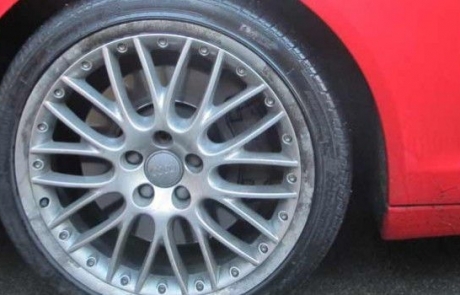 Our mobile split rim alloy wheel refurbishment service can bring back to life your worn corroded or kerbed split rims, we actually split the alloys back to 2 or 3 pieces and deal with each separate piece individually thus giving you the best service possible. In doing this we can offer you a 2 year paint guarantee. 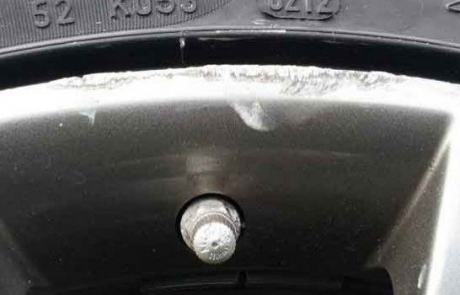 Some alloys look like split rims but the alloys are all one piece and the little bolt heads are glued on to look like split rims. 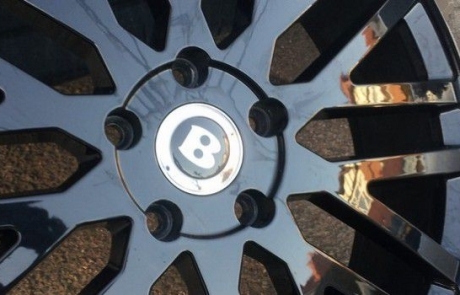 If the alloy wheels are original manufacturer wheels then they will be true split rims, if they are after market wheels then it is highly probable that they are not true split rims, we would recommend calling the company that sold them to you and ask the question. If they cost a few grand then they are likely to be true split rims. Split Rim Alloys or Not? Split rims normally have a deep dish and little bolts going around the outer edge of the alloy, these bolts can be removed the rims refurbed and then put back to together using the correct torque tension. 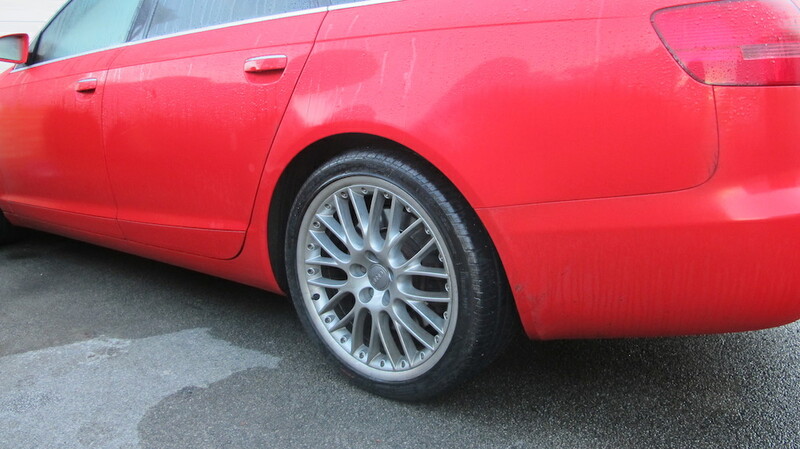 These alloys on the left are a BBS LM forged split rims and cost around £4250 to replace for a set of 4 18 inch rim. Therefore worth spending money to refurbish them. Call now on 0161 609 8111 to get an instant free online quote now! Ok if your alloys are a copy of a split rim which means the pieces will not separate then you may face a few issues when having them refurbished. If they have polished lips which normally they do unless some one in the past has painted them the repairer may struggle to get the machinery used to recut and polish close to the inner central piece. In order to do this he may end up scuffing the painted section and needing to refurbish that as well. Some people ask if there are dangers of split rim wheels being refurbed. The answer to that is no. Replace split rim wheels or not? 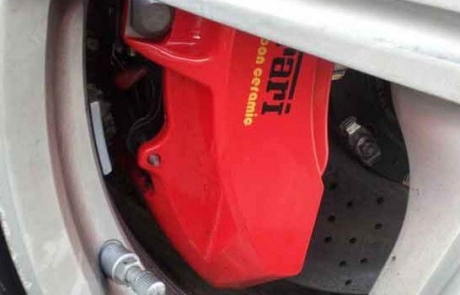 This would probably cost you more than actually replacing the alloys. 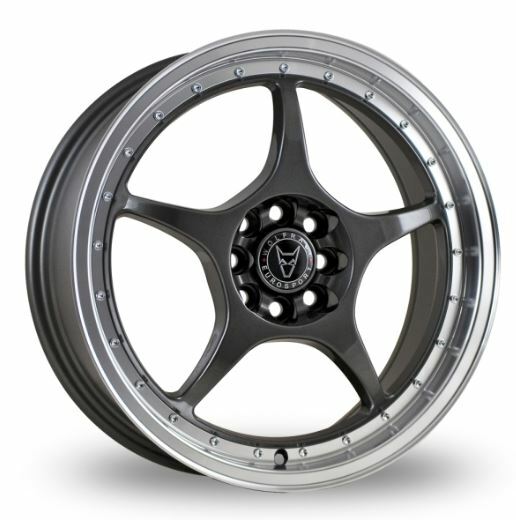 You can buy a set of wolf race Olympic black alloys which are a deep dish split rim copy for about £300. If you have only damaged the outer lip of your split rim alloys then we can recut and polish them for you. But if the inner part of the dish is damaged then we would recommend looking at a price for replacing them. Still unsure of which path to follow and would like some more advice then give us a call and we would be more than happy to talk to you about split rim alloy wheel repair and refurbishment. Click here to see a photo shoot of how the split rim alloys are refurbished.